"No need for Nitnem or Amrit"
New Delhi (KP) - Veer Bhupinder, the controversial urban missionary in hot water for performing a marriage ceremony of a Delhi couple where the traditional lavan ceremony was twisted to mirror the Hindu marriage ritual when a man and a woman both alternatively lead the 'pharays' is being asked to face the consequences for his recent mischievous actions. 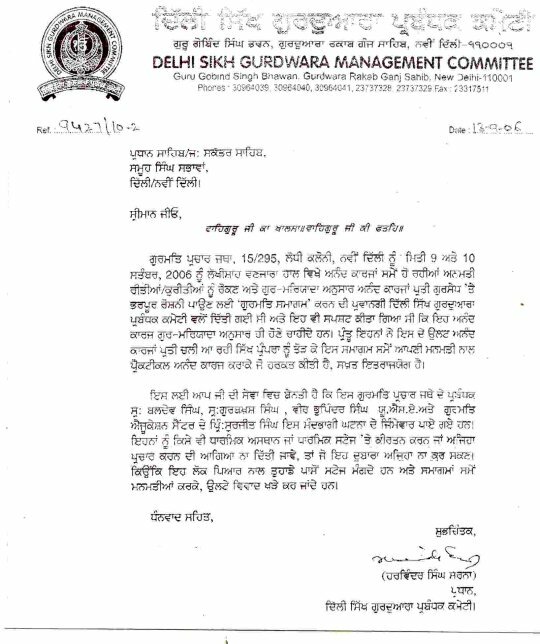 Taking a serious note, Panthic organizations such as Shahbaaz Khalsa and Khalsa Alliance have demanded that Veer Bhupinder and his supporters be summoned to Akal Takht Sahib for this religious breech. Veer Bhupinder, is a close associate of ex-communicated detractor Gurbaksh Kala-Afghana, and has coordinated programs with the anti-Panthic Rahtriya Sikh Sangat (RSS). According to those who know Veer Bhupinder, his views are 100% in line with his mentor Kala-Afghana. In 2002, it was a common sight to see Veer Bhupinder visiting various Gurdwaras in the USA, purporting the ideals of Kala-Afghana using a softer approach. He often visited a particular Gurdwara several days before Kala-Afghana would arrive, in order to set up the 'proper' atmosphere. This included challenging the authenticity of Nitnem, the concept of Amrit, and Naam Simran. Veer Bhupinder stating if “Sukhmani (Sahib)” could not cool the hot tavaa (plate) for Guru Arjan Dev Ji, what could it possibly do for you by repeatedly reciting it ? There is no use for the Kirpan that Amritdharis nowadays wear, nor is there a need to ‘bhet’ a Kirpan for Deg or Langar. Langar is also useless in Gurdwaras and should not be served. Although he has stated that “he always follows and abides by Sikh Rehat Maryada”, yet Veer Bhupinder does not hesitate to condemn some of the practices mentioned in the maryada. There is no need to recite any “Gurmantar.” The word ‘WaheGuru’ is not even mentioned in Gurbani, there is no need to recite it like a parrot. (Kala Afghana followers do not believe that Bhagat Banee or Svaiyay of the Bhatts is Banee. In a 2003 debate with members of Khalsa Alliance in Fresno, California, Veer Bhupinder and his brother stated that the verse “ਵਾਹਿਗੁਰੂ ਵਾਹਿਗੁਰੂ ਵਾਹਿਗੁਰੂ ਵਾਹਿ ਜੀਉ ॥ (1402)“ does not prove that word “ਵਾਹਿਗੁਰੂ” was ever used by our Gurus, since this verse in written by a Bhatt, and hence not Gurbanee. One question that arises is that if Veer Bhupinder abides by the Sikh Rehit Maryada, then why did he perform Kirtan for the lavan at the marriage function in Delhi? If the above was true, then why didn't he protest and walk away from the ceremony that violated the Sikh Maryada? 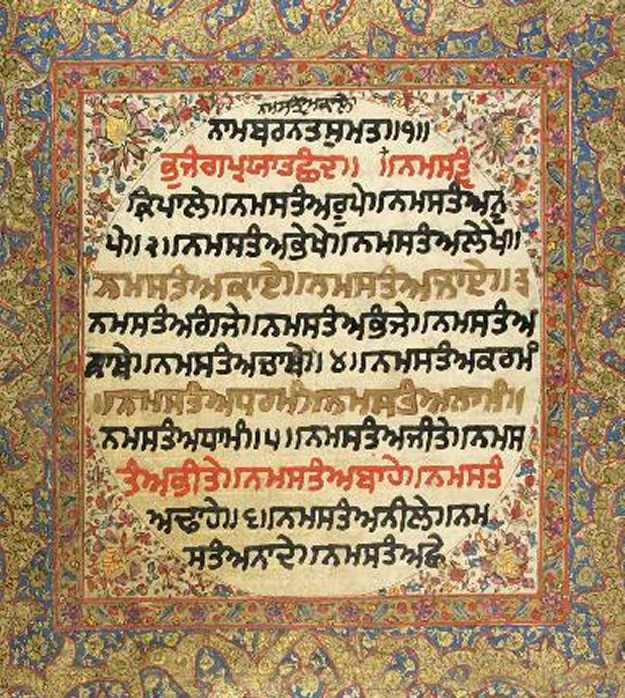 By participating in manmat, how is he maintaining the sanctity of Guru Granth Sahib? One must now ask why is our Nitnem, Amrit, Gurbani, Kakkars, and now our Anand-Karj being challenged by these missionaries? Perhaps the public needs to look further underneath their fake-divinity mask. Due to the uproar over this bold step by the Delhi Missionaries, petitions have been filed at Sri Akal Takht Sahib against the involved individuals. 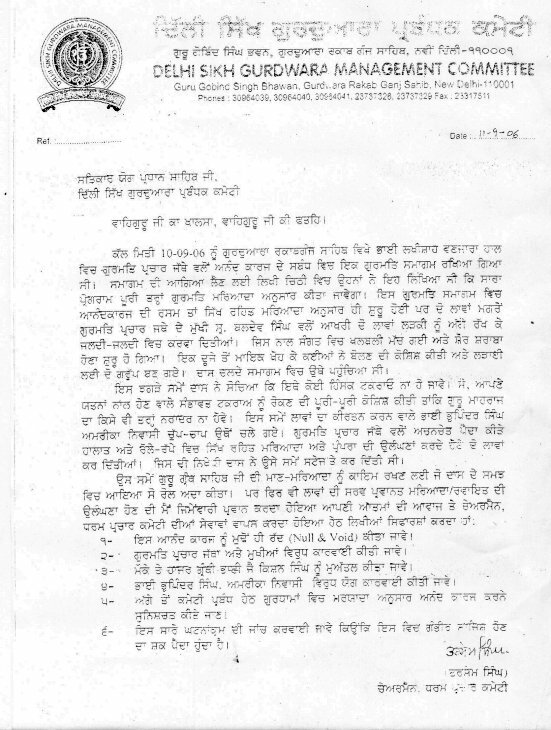 It is expected that the Jathedars will be meeting in the next few weeks in regards to the filed complaints.